On Sunday the 10th August over 20,000 amateur cyclists will set of from Queen Elizabeth Olympic Park and ride their way through London and down into deepest Surrey as they complete a 100 mile journey finishing at the Mall back in London again. Prudential RideLondon is an annual world-class two-day cycling festival developed by the Mayor of London (That's Boris to you and me) and his agencies in partnership with Surrey County Council, celebrating the legacy for cycling created by the London 2012 Olympic and Paralympic Games. The weekend will actually be hosting four separate cycling events, making use of the road closures to give many people a chance to enjoy a good cycle. The RideLondon-Surrey 100 includes leg-testing climbs and a route made famous by the world’s best cyclists at the London 2012 Olympics - so lots of lovely Surrey countryside to admire and enjoy along the way. As well as encouraging many people to enjoy a bike ride, the event also helps raise money for charity. The first event last year raised over £3.5 million for charity. 80,000 people entered the ballot to take part in the RideLondon-Surrey 100 which mean 60,000 or so have unfortunately missed out on this one. However there is still a chance! 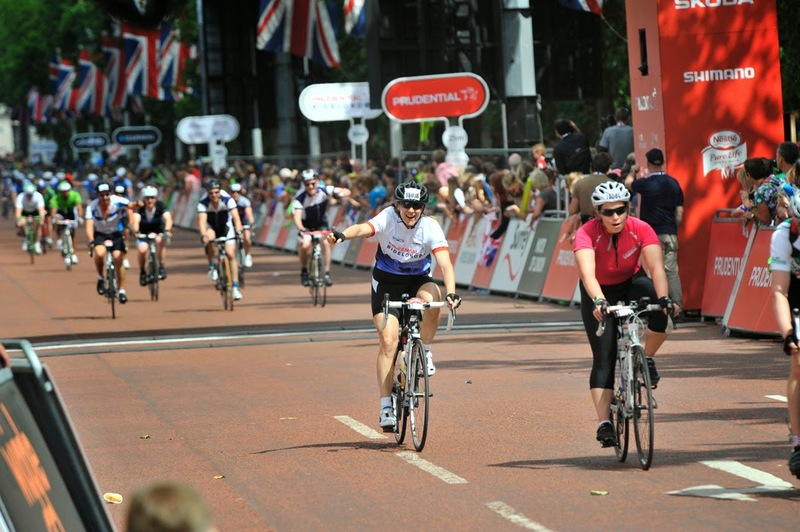 St Raphael’s Hospice have Gold Bond places in RideLondon-Surrey 100. The registration fee is £50 and the minimum sponsorship amount is £400 - this will give you a place on the St Raphael’s team. You have until this Friday (2nd May) to sign up. If you are at all interested in this opportunity or would like some more information, please contact Emily Nicholls, Community Fundraiser, on 020 8254 2463 or emily.nicholls@straphaelshospice.org.uk.